Adventures on Fridays are always a good idea, no? It’s early morning, and we’re waiting at the Gateway of India for our fellow photographers, bloggers, and journalists. 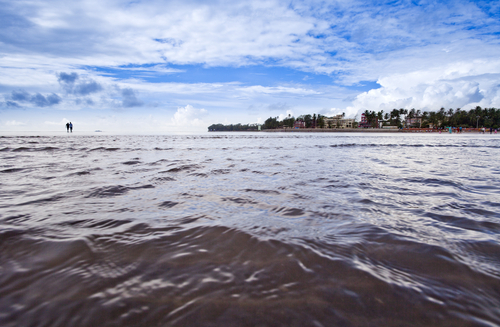 Organised by the team at GoPro, this getaway to the 300-year-old beach town of Alibaug makes for a perfect occasion to try out the new Hero5 camera. 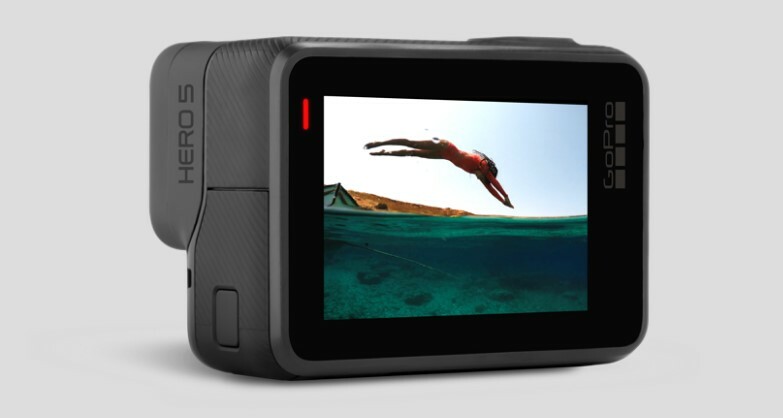 GoPro has long been synonymous with extreme sports enthusiasts, and this one with a touchscreen interface and voice activation is touted to be the most user-friendly gadget to date. We board the jetty and excitedly test the new device to see if it actually lives up to the hype. We record buttery smooth 4k videos as versatilely as we can… from the glimmering sunlight on the Arabian Sea to the graceful seagulls. After an hour’s journey, we arrive to a refreshing breakfast at Kiki’s Café & Bar, and later head out for a 13Km long bicycle ride to the beach house. We set our cameras on the vehicles so not a moment is missed, with all the lush greenery, lakes and villages around us. It is true, one of the best features of the Hero5 is the image stabilisation, which was useful when I tried to get a smooth shot while riding. It also happens to be the first GoPro with GPS built in, which is great if you’re travelling a lot and want to keep track of videos based on location. As noon approached and the temperatures soared, we reached the Mango beach House in Kihim — a pleasant hideout surrounded by palm trees. After lunch, we headed to Kihim Beach for an interactive session of Capoeira. Developed in the 16th century in Brazil mainly by the Angolans, Capoeira is a mixed martial arts form combining music, acrobatics, and dance. It is known for its quick and complex maneuvers using power, speed, and leverage across a wide variety of kicks, spins, and techniques. Again we tested out the camera, filming some quick movements… and finally the breathtaking sunset. It delivered on quality, build, and ease of use. It’s dust and water resistant, so I didn’t have to think twice while using it during outdoor activities. On the ride back, all I could think about was the great picture quality that effectively captured the Konkan coastline and the fact that this is a flagship device that’s user-friendly and neat enough to go anywhere.